10 healthy foods for Kids – Snacks for children should be considered by parents because children’s meals are also influential for their development and their brains. 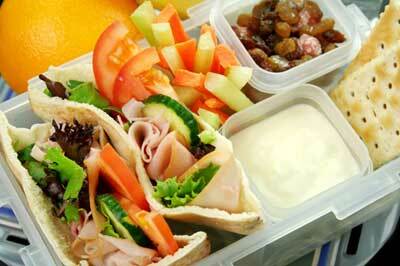 Children under school age will continue to try food that they think is healthy and delicious for them. So when they find the sweet one, they will make it as a favorite. Thus, parents should get their children to love healthy foods such as fruits and vegetables, not snacks that purchased in stores. Here’s a list of best snack for kids. Fruit is one of best food for kids, and its good for anyone. Children who like fruits are good for their development. Fruits are the best snacks for children. Indeed, children do not have to consume fruit every time, but they need 1.5 cups every day. [Source: KidsHealth.org]. For more savory, fruits can consume with other foods such as Greek yogurt, or mixture with several fruits in juices form such as grape, strawberry, and others. Cereal is a good source of fiber and included in the list of the best snacks for kids. Cereals can be filling and good for digestive health, maintain weight and issuing various types of diseases from the body via the fiber in fesses. School-age kids should be in the habit of healthy cereals, instead of sugary cereal and lots of sugar. Sweet foods are bad for the health, children who consume the sugar the teeth will quickly perforate. Furthermore, the best snack and food for kids is peanut butter. Although much fats, peanut butter is packed with protein and fiber. However, if your kids are allergic to peanuts, you should stay away from this snack. Children with allergies usually be visible signs, such as a rash on the mouth and neck. Smoothies are best things to children. However, you have to give attention to a way of making this beverage. If smoothies are purchased, usually contain lots of sugar, and this is not good for your child. We recommend that you create your own from home. The smoothies that you make at home with bananas, strawberries, yogurt and low-fat milk is great for kids. The content of protein and calcium are essential to them. Hint: If your child is not enough protein and fiber in the diet, try adding powder supplements to the smoothie. Applesauce contains many vitamins and fiber. It could be a healthy diet that rich in vitamins and fiber. However, choose low-sugar applesauce for your kids. Applesauce can be the best way of presenting the fruits for children. If you make your own, add cinnamon and stir in raisins or nuts. Cinnamon is not only delicious used as a spice in cooking but also a beautiful to include in the child’s diet. Cinnamon can lower blood sugar levels and lowering cholesterol [source: Walters]. Pizza is very interesting for you. You can also serve your kids a pizza, but a mini pizza. It is good and healthy for kids. You can add tomato sauce or make your own with tomato paste, seasonings such as garlic and oregano. Pizza should be served with other healthy foods like green vegetables that you pack the peppers, cucumbers. Meat roll-ups is processed meat. It is just a way of presenting food in a new way, for the appetite. However, these foods often contain many nitrates. Nitrates are effective preservatives, nitrates often associated with cancer in animals. Some experts advise not to consume these foods, but you can look for nitrate-free meat in many stores [source: Haas]. Try making your own Trail Mix home. Not only fun activity for the kids they will participate in it, this snack also allows you to control the salt and sugar content. If you are up for it, you can also make your granola. It is a huge source of fiber; granola also contains much sugars if you bought it in store. HINT: If you are not worry about sugar, kids will love the addition of M&Ms or chocolate chips. It is really enjoy for kids. Cheese is one of foods that good for kids. It is contains much calcium. Cheese often preferred food fro children. Try to serve bread with cheese and sandwiches. Fried crackers are not safe for children because it contains some saturated fats. The cheese that sold in stores sometimes there is also no good. Then take a healthy cheese. The food is very healthy for children. But give attention to the label, choose only popcorn that not contaminate to sugar, salt. This snack is full of fiber. The grains can lower the risk of diabetes and heart disease [source: Health]. Many children are not like with plain popcorn. Means, you can add puree of cinnamon, or garlic to popcorn. It will give you a crispy taste and delicious.